Donut Day 2016 Store One Panel. 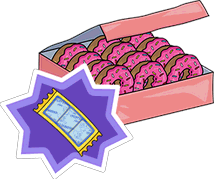 Donut Day Currency Store One Panel. "The duels are done and even the ghosts have left this ghost town. With everyone settling back to normal, what could be next for Springfield? A suped-up sequel? A new take on an origin story? An ominously foreshadowing political thriller? We're not sure yet because Gary accidentally took his work computer on vacation. Not cool Gary! "Western duels ended and even ghosts have left town. Life seems to take its course in Springfield. For real ? No ! Because Superhero is back with a scenario to taste away! And political shenanigans to no end. Finally, if Gary does not forget to save the new update. Hey Gary? One thing is certain : new characters, buildings and adventures await you soon! Until then , keep playing!!" ―French Event teaser on the App Store. "It's time for the fiercest competition known to man - A Chili Cook-Off. 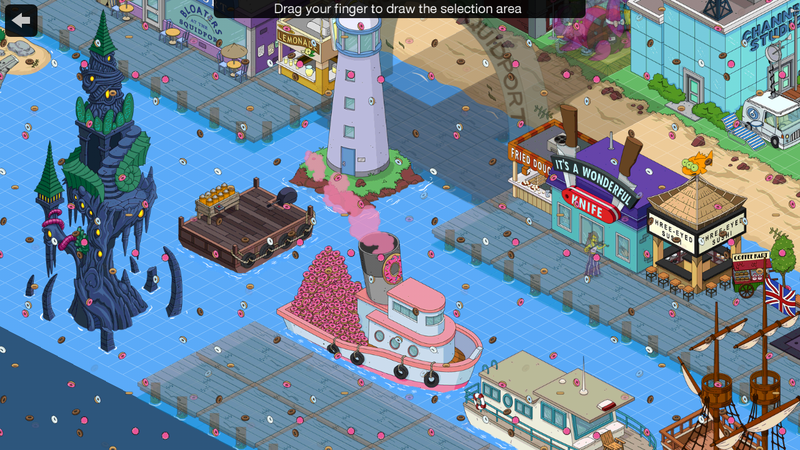 Chief Wiggum and Homer Simpson face off in this insanity-inducing new update." 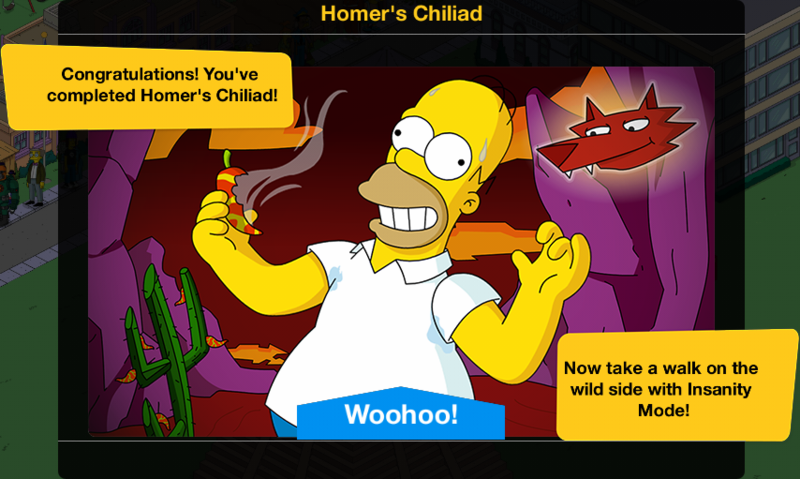 The Simpsons: Tapped Out Homer's Chiliad content update was released on June 2, 2016 and was the one hundred and twentyeigth content update. It was hinted in the final General Store prize of the Wild West event. It's based on the Season 8 episode El Viaje Misterioso de Nuestro Jomer. 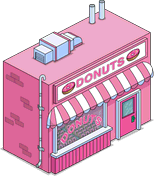 It included the Donut Day 2016 promotion and added 1 new character, 2 new buildings, 8 new decorations and 1 new crop. 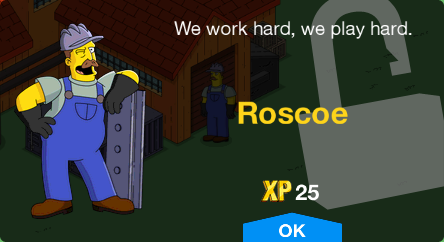 Roscoe Unlocks with Ajax Steel Mill. Returns from Pride Month 2015. 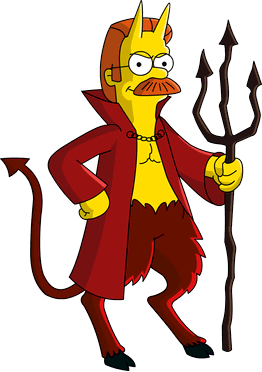 Devil Flanders Unlocks with Five Alarm Chili. Pro-Shop 6s 120 Selling Grown-up Minigolf Supplies Unlocks Space Coyote. 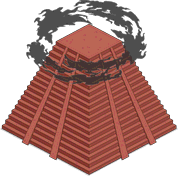 Pyramid Activates on Pro-Shop during the Insanity Mode minigame. 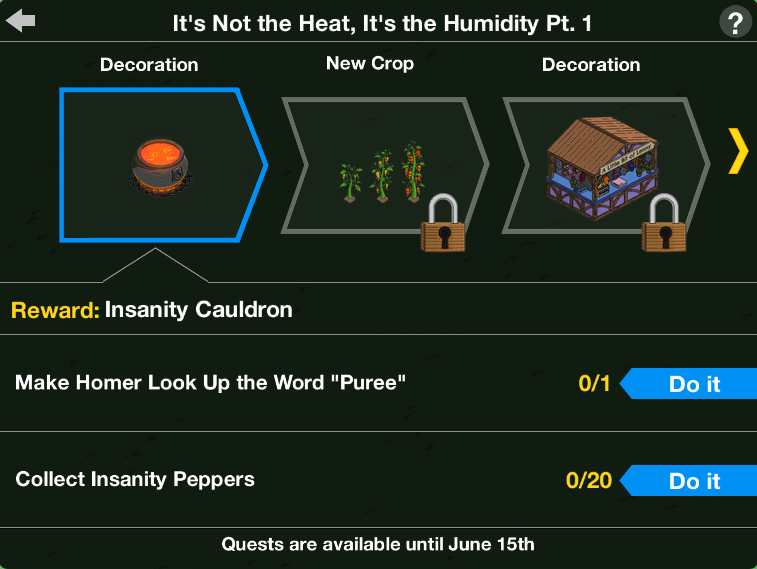 Insanity Cauldron FREE Unlocks after completing It's Not the Heat, It's the Humidity Pt. 1. After starting Insane in the Brain Flame: Task: Send Homer on a Trip. 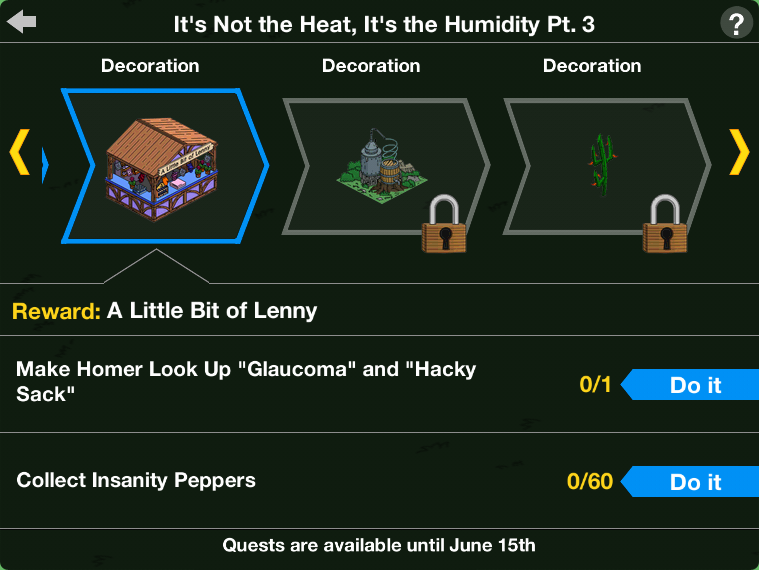 A Little Bit of Lenny Unlocks after completing It's Not the Heat, It's the Humidity Pt. 3. Backwater Brewery Unlocks after completing It's Not the Heat, It's the Humidity Pt. 4. 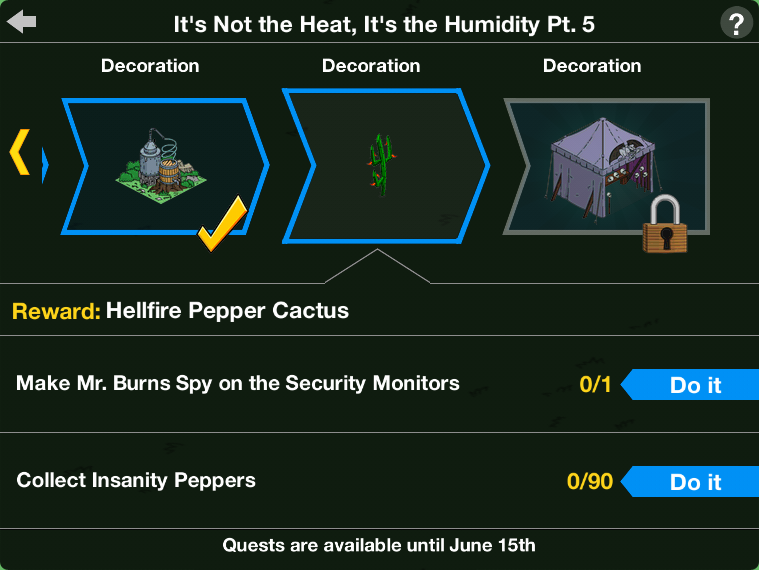 15 Unlocks after completing It's Not the Heat, It's the Humidity Pt. 5. 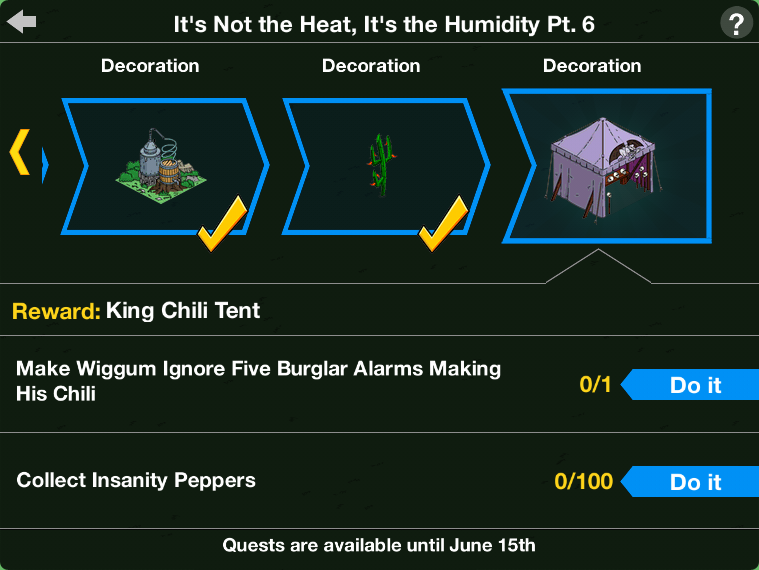 King Chili Tent FREE Unlocks after completing It's Not the Heat, It's the Humidity Pt. 6. 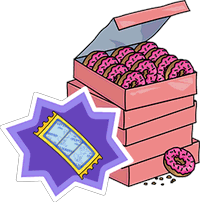 Donut Tray FREE Unlocks after accepting or declining the Gil Deal. Activates Donuts rain for 7 seconds once tapped. 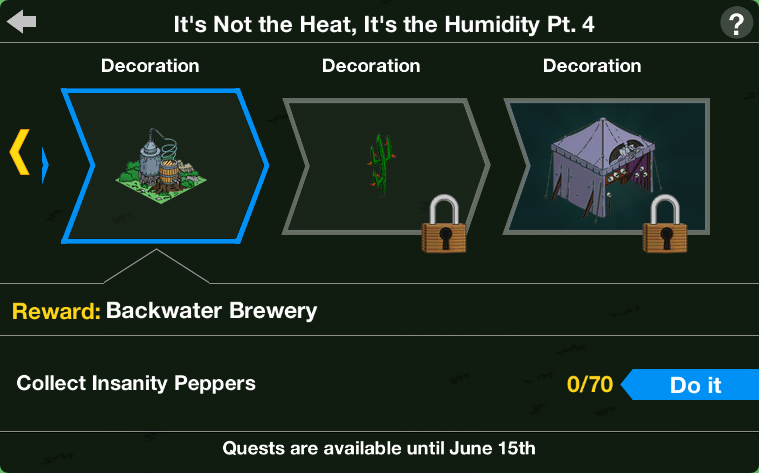 Unlocks after completing It's Not the Heat, It's the Humidity Pt. 2. Witch Marge can be used to cut the lenght of the crop growth. Dozen Donuts + 1 Golden Scratch-R Special offer for Donut Day promo. 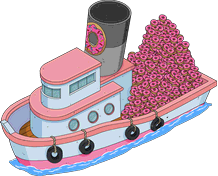 Donut Boat (Donut Rain animation) Treehouse of Horror V - "Time and Punishment"
Hey, Homer. Chief Wiggum just pulled me into the station. What did you do this time? Cherry bomb a toilet? Deface a statue? Drink a soda larger than sixty-four ounces? Yes, yes, and no that was you. But this time he was bringing me in to give you a message. Wiggum says you better steer clear of the Chili Competition this year if you don't want to embarrass yourself again. Ha! Good luck embarrassing a guy who almost won the Darwin Award three times. My greatest regret is that my heart started beating again. For this year's Chili Competition, I'm going to train like I've never trained before! What? Oh, hi peyote coyote. I thought I only saw you when I ate insanity peppers. Oh, once I'm in your system, I never leave… like a spiritual herpes. You need to focus on your quest to achieve inner tranquility. Great. Because nothing would make me more tranquil than beating the crap out of that loudmouth Wiggum! But if I'm going to do this, I need more help than a figment of my imagination. 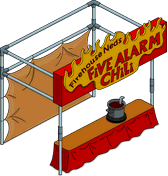 Gentlemen, I've brought each of you here for your specialized chili-making skills. I know how to handle hot stuff, but I don't think I've ever eaten chili - just wrestled in it. The only chili I know to make is pickled. And it's eggs. I ain't made chili since the police took away my cooking bathtub. I make chili by opening a can and reheating it with my car's radiator. My chili is actually more of a deconstruction of the concept of chili. It's an opened can. And I call my chili hot dog surprise. The surprise is that it contains no hot dogs. Wow, I was only expecting THREE jokes about how bad you guys were. What a nice surprise! System Message Never set out on a quest for knowledge without your Spirit Guide! The Pro-Shop and Space Coyote are now available in the store. The first step to creating fine cuisine is quality ingredients. So I'd advise against shopping at the Kwik-E-Mart. Ingredients? BAH! The only thing that matters is heat! That's why we're using Guatemalan Insanity Peppers! But those peppers have been outlawed for years! Two! Laws are like roller coasters -- full of loopholes! We just have to make an Insanity Pepper puree! System Message Good chili takes time. 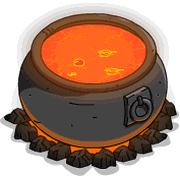 Keep protecting your recipe to unlock the full potential of the Insanity Cauldron. Hot stuff coming through! This is meant for molten metal, but I guess you could use it for chili. 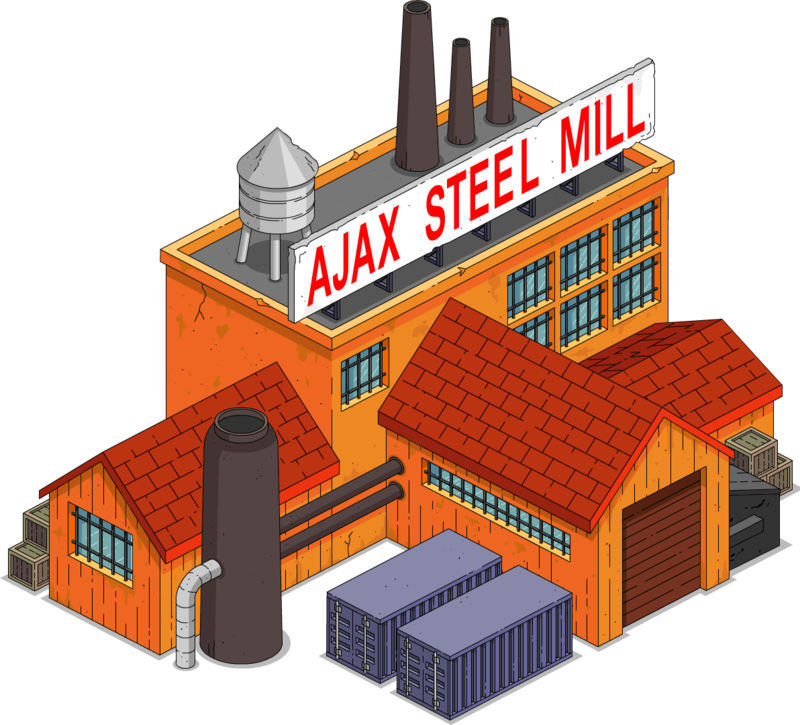 System Message Turn up the heat and earn some extra Insanity Peppers with Roscoe and the Ajax Steel Mill - available now in the store! 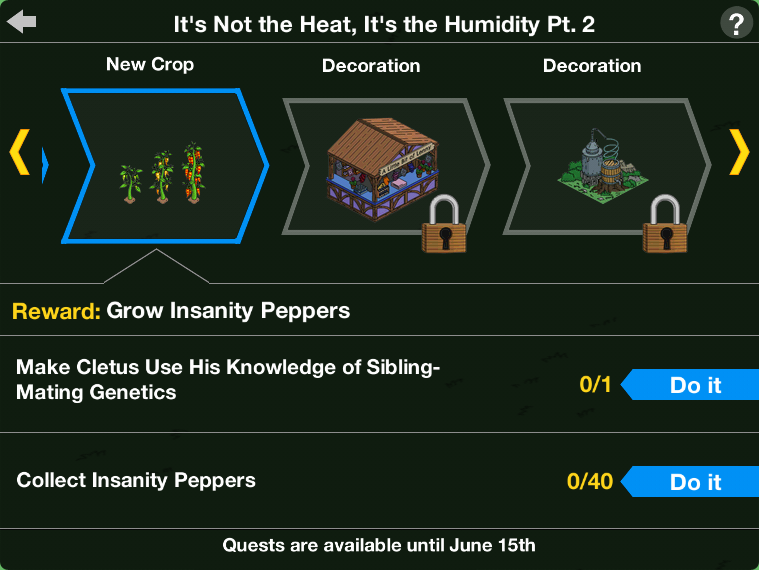 Note: Plant your corn before starting this part to have it autocompleted when you recieve the prize "Insanity Peppers" crop! Also Witch Marge can be used to cut the lenght of the crop growth. This chili isn't hot enough! Steam came out of my nose... but my ears stayed steamless! If you want more heat, we's gonna hafta bioengineer us some better seeds. I should know -- I'm a direct descendant of Mendel himself. On both sides! These new Insanity Peppers are tiny. Is there any way to make them bigger? Well, I ain't no fancy pants farmer. Seriously, where do they get those fancy pants with built-in denim bibs? But I guess with the right hydroponic treatment we can grow bigger, fuller plants. I didn't realize you knew so much about hydroponics. I've been practicing. But if anyone asks, it's for my glaucoma. And to make hacky sack more bearable. Steam came out of all my orifices, and I mean all of them, but I didn't make any train sounds. Still not hot enough! 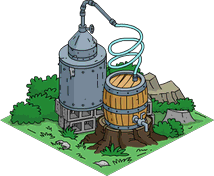 We could try distilling the stuff, make some kind of Insanity Pepper extract? I gots a still that would do the trick, but it's occupied with a half-made batch of 'shine. Steam – check! Train sound – check! But where are the hallucinations? Insanity Peppers, please! These are Mildly Delusional Peppers at best. We could use radioactivity to rapidly mutate them, but that would be unforgivably reckless. You had me at reckless! Which was the end of the sentence, so I'm glad I listened all the way through. Nuclear power – the gift that keeps on giving, for thousands of half-lives. I dunno about this, Homer. This isn't just ignoring some silly fire code, like hanging exit signs over brick walls. This chili might actually hurt someone. Don't worry, Moe. You only lose all your senses momentarily. They come back. Except for smell. And who really needs smell? 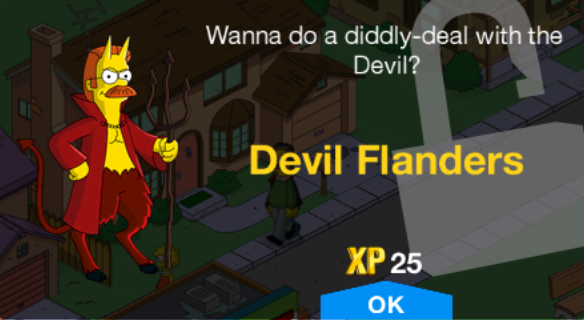 Simpson, I heard you ignored my warning. How about we place a wager on whose chili is better? Wager? We literally just had a casino update. Whaddya say, Homer? My chili tent against your precious tasting spoon. You're on! Although I dropped that spoon in the garbage disposal, so it's more of a spork now. Okay Homer, give my chili a try. *slurp* This is perfect… if today was Opposite Day! Which it isn't! Although me saying it isn't is exactly what I would say if it was Opposite Day. Really? No reaction? My chili took down a Kodiak bear! I've got twice as much fat and three times the body hair of a Kodiak. Now it's your turn, Wiggum! *slurp* Ahhh! My mouth! My face! My insides are shutting down faster than an arts program during a budget crisis! Wow, I think Wiggum's last words might've been his best. System Message Enjoy mind-melting peppers every day! 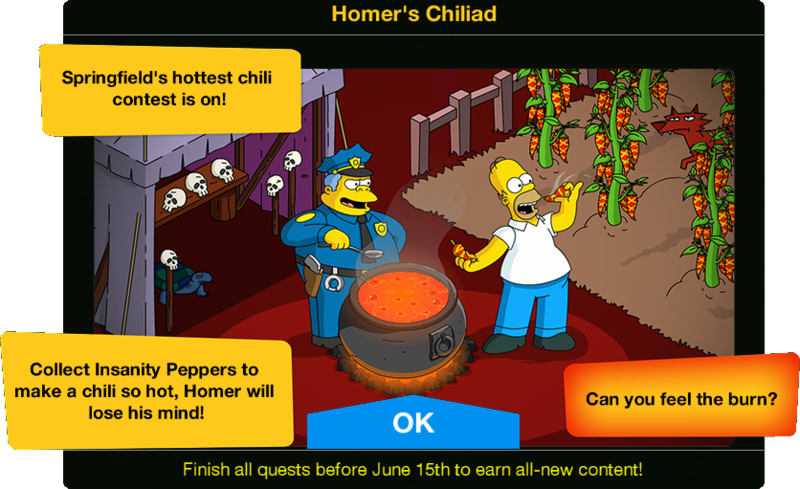 You've unlocked Homer's "Eat Insanity Peppers" animated job. 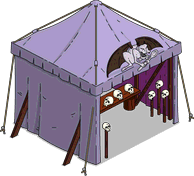 System Message The Insanity Cauldron is rewarding Pharmaceuticals for a limited time! Mister Simpson, Channel 6 would like you to taste test your award-winning chili on live TV. You think my chili is newsworthy? I was supposed to do an interview with a serial killer who turns baby skulls into rattles that he then sells back to babies. But he decided to go on Serial Kickline, a show where Rockettes teach mass murderers how to dance in unison. So yeah, sure, you're newsworthy. System Message You've received a surprise bonus reward! Keep playing Insanity Mode to see what else you might find. Looks like it might rain. I hope I don't have to change my outdoor laundry folding session to an indoor one! I'd have to change out the baskets and everything. Considering it's never rained once in this town, I'd say you're safe. That's not a cloud, that's a poofy zeppelin. The Kaiser's returned! And he wants his rolls back! System Message In honor of National Donut Day, we've decided to make it rain... donuts! Open your mouth and stay off the roads! Chili seems to bring out the worst in people. That's why Jesus only turned water into grape juice, according to my Hays Morality Code Bible. When it comes to heat, these chili-chumps don't know a jalapeno from a hallelujah! We should show them the error of their ways. Make a chili so spicy that they'll get baptized just for the water. Oh, I don't think so. Spicy foods are a highway to sins like pride, envy, and sin listing. Oh no! I'm so tired. It feels like I didn't sleep a wink last night. Not that I would ever wink – that's a Jezebel's blink. Where did all these cooking supplies come from? Was I sleepwalking? Did I even make sure to sleep-stretch and sleep-hydrate? Let's just say you were asleep at the wheel, so I took over. And I didn't use my turn signals! Now, Neddy, don't get yourself in a tiz-tiddilly-izzy over nothing. The Devil doesn't live in your head. Another restless night and more spicy evidence! And now I'm quoting Jimmy Buffett songs! I'm worried the Devil might be corrupting my evening activities. Last night, I watched three hours of the Ken Burns jazz documentary – that's almost a third of it! I'd better push up the weekly exorcism! Ned, I can assure you these “visions” you've been having aren't biblical in nature. And I should know, I've read almost all of that book. Isn't your neighbor Homer experimenting with hallucination-inducing Insanity Peppers? You mean Homer might have given me a hallucinogenic substance? I need to make a citizen's arrest! 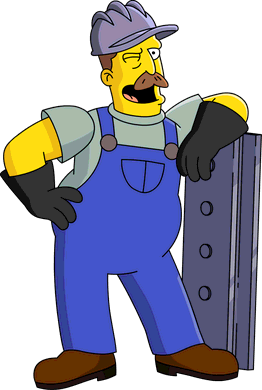 Now, Ned, Homer might be an idiot but the Bible says “love thy neighbor as your" something. I haven't gotten to the end of that one yet – don't spoil it for me. 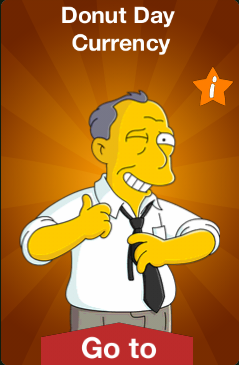 I'm not citizen's arresting Homer -- I'm arresting me! Hello, coyote god. Do you perhaps have the power to unspoil milk? Unfortunately I'm just a nature spirit, not a god. 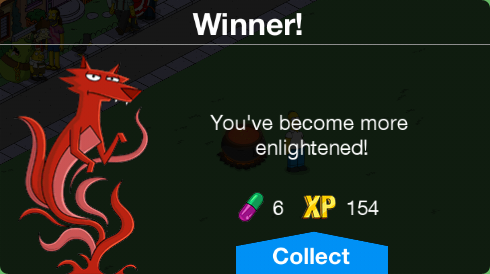 My only gift is enlightenment. Oh, and the ability to add raisins to things. Many apologies. It was an honest mistake. In my country, there are many gods, representing all aspects of life. Well, when you think of it that way, I suppose I could be considered the patron of personalized chili hallucinations. And I am really good at telling if dresses are blue or gold. Need me to do that? I wish I had some higher calling, something more fulfilling than just guiding mankind to enlightenment. Plus I've got a lot of time on my paws between chili fugues. Perhaps I should explore the natural world, follow in the footsteps of the proud and regal creatures whose form I take. 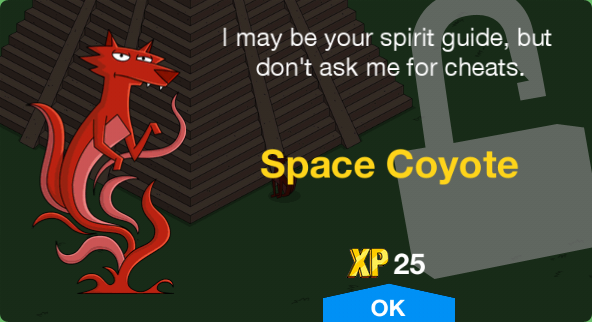 System Message You've unlocked the "Bite Homer's Leg" animated job for the Space Coyote! Experiencing the world as an animal has not provided the perspective I had hoped for. I really wish someone would participate in a dangerous, unsupervised chili contest already. Wait a minute! Who says I can't expand my spirit animal-ness and appear in hallucinations of all kinds? I'm due to have a blackout dream soon. There'll be plenty of vomit to lap up. Oh man, I'd love to hallucinate a coyote! Normally I just get some version of whatever animal cracker I've eaten last. What about straight up dementia?! Quick make me draw a clock. Just kidding, talking clock. Sigh, now I understand why my cousin chose to be a spirit of the wind. But I still think his paintings are terrible. 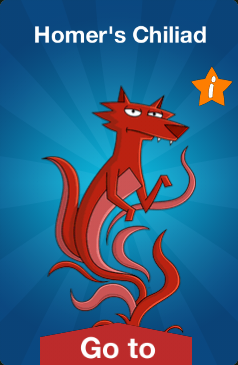 System Message You've unlocked the "Guide Vision Questers" animated job for the Space Coyote! Finally an offer that's guaranteed to be a winner! 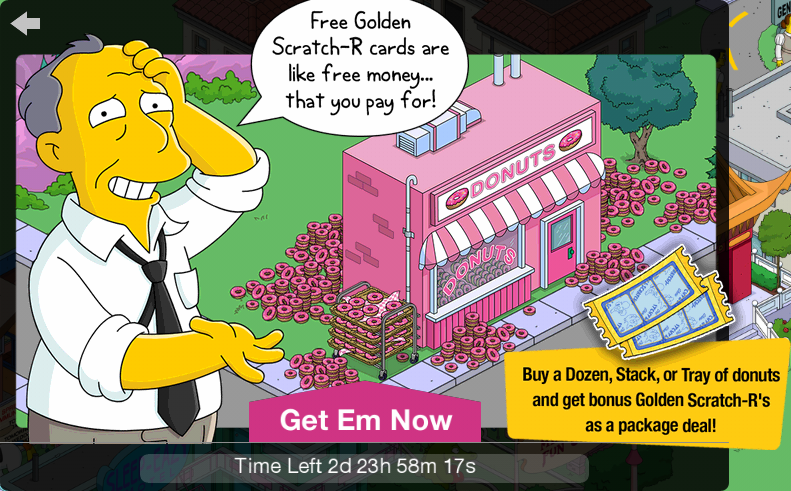 Guess who has a brand new deal on donuts! It just rained donuts. We've got enough to last us a lifetime. But, didn't you just end up with fifteen or so? I didn't say it had to be a human lifetime. What if I threw in a few Golden Scratch-R's to sweeten the deal? Golden Scratch-R's? Those give you donuts! Gimme! Gimme! Gimme! Aw, thanks. Gil won't forget your generosity. At least as long as I remember to take my pills. Wait, what pills? System Message Thanks for your purchase! 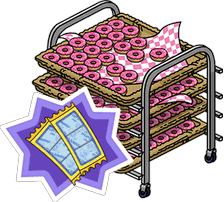 Have a free Donut Tray decoration for your town! 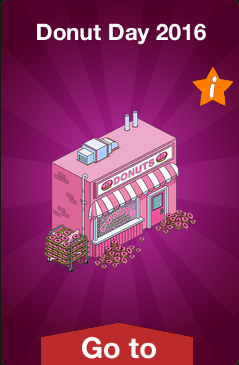 With all these extra donuts flying around, why not buy something showy? Nothing says "extravagant wealth" like a concrete replica of your sugary riches! Gil's too late to the party again? This is just like the time I created a dysfunctional animated family comedy right before FOX greenlit the Simpsons. Fortunately I've got a great new idea -- where people pay 40 cents a text to vote on talentless singers! System Message Even though you're not in the market for useful donuts, you might as well have this free Donut Tray decoration for your town. Oooh, abandoned donuts! And this time they're covered in sprinkles and not animal droppings. Dad, look out for that truck! Lisa, it's a donut truck – I want to get hit! Then I can sue the parent company and get donuts in the settlement! Finally, I found a way to get Homer to go shopping with me. Although I wish he would stop eating the mannequins. Yar! A hold full of sweet donuts! Let's hope one of these is citrus flavored or else it's a scurvy death for me. Ajax Steel Mill is no longer placable on the beach. 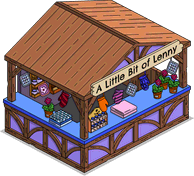 A patch for Duff Gardens was added, making the promo appear again on June 7th. The Dirtiest Roads in Springfield now requires Slack-Jawed Yokel Pt. 2 to be completed. Backwater Brewery now has a sound when tapped. 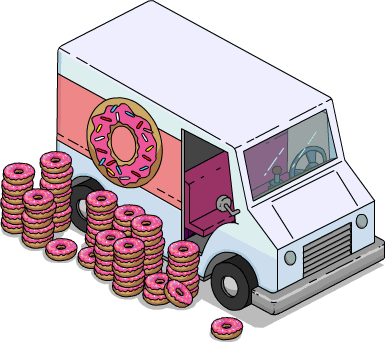 The end date for Donut Store, Donut Truck and Donut Boat is now displayed correctly as June 10th at 8am GMT. 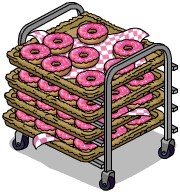 Fixed a glitch not showing the Dozen, Stack and Tray of Donuts correctly or at all after getting the Gil Deal. 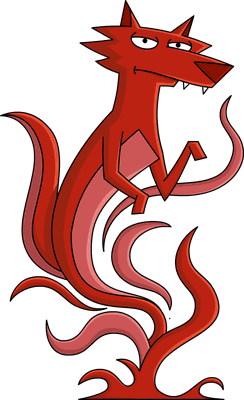 Modified on June 5, 2018, at 03:42.